In April 2015, Convocation approved the establishment of an award in honour of former Treasurer John Shirley Denison, to be bestowed annually in recognition of significant contributions to access to justice and/or poverty issues. Both paralegal and lawyer licensees of The Law Society of Ontario are eligible for this award, established to honour Denison’s commitment to helping others. For more information on the J. Shirley Denison Award, please see the Heritage Committee Report to April 2015 Convocation. Antree C. Demakos is the 2018 J. Shirley Denison Award recipient. 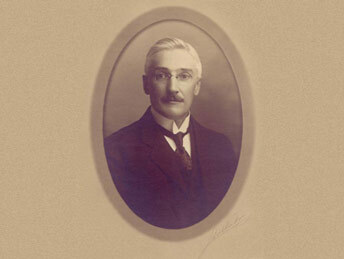 Born in Montréal in 1870, Denison attended Upper Canada College in Toronto, and then Osgoode Hall Law School. He was called to the Ontario Bar in 1892 and was made King’s Counsel in 1910, under George V. He was elected a bencher of the Law Society in 1931, and was re-elected in 1936, ‘41 and ‘46. Denison served as chairman of the Legal Education Committee from 1936 until 1944, when he was elected Treasurer. He was made a life bencher in 1946. Denison practised law in Toronto with Angus MacMurchy, K.C., under the name of MacMurchy & Denison, for more than 40 years. They were solicitors for the Canadian Pacific Railway and jointly produced a number of volumes on railway law. Denison was also on the staff of Osgoode Hall Law School from 1910 to 1925, lecturing on wills, property and conveyancing. The J. Shirley Denison Fund was established under the terms of the will of John Shirley Denison, KC, who served as Treasurer for three terms from 1944 to 1947. The generous provisions of Mr. Denison’s bequest provided financial support for many lawyers in the years prior to the development of a reliable social security safety net. From 2000–2014, the Fund paid a total of $432,000 to 134 applicants. By naming an award in his honour the importance of his legacy will be recognized and celebrated each year as will the activities of recipients in making a significant contribution in the area of access to justice and poverty.